No more sewing and ironing-on! 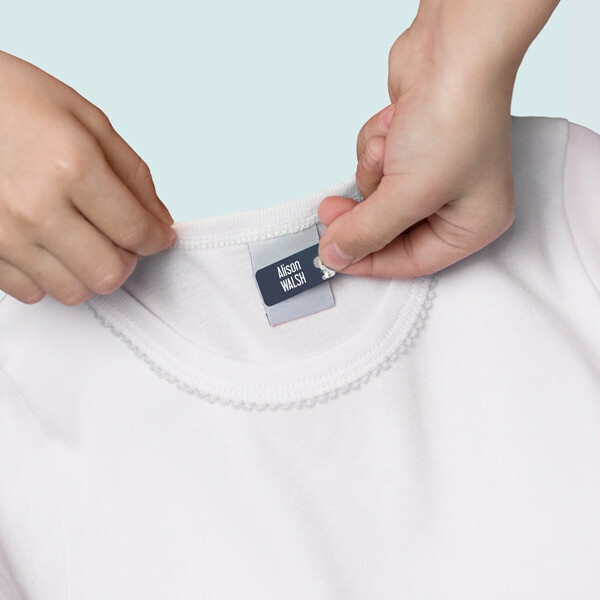 Ludisticks™ are the name of our self-sealing name labels for clothes. 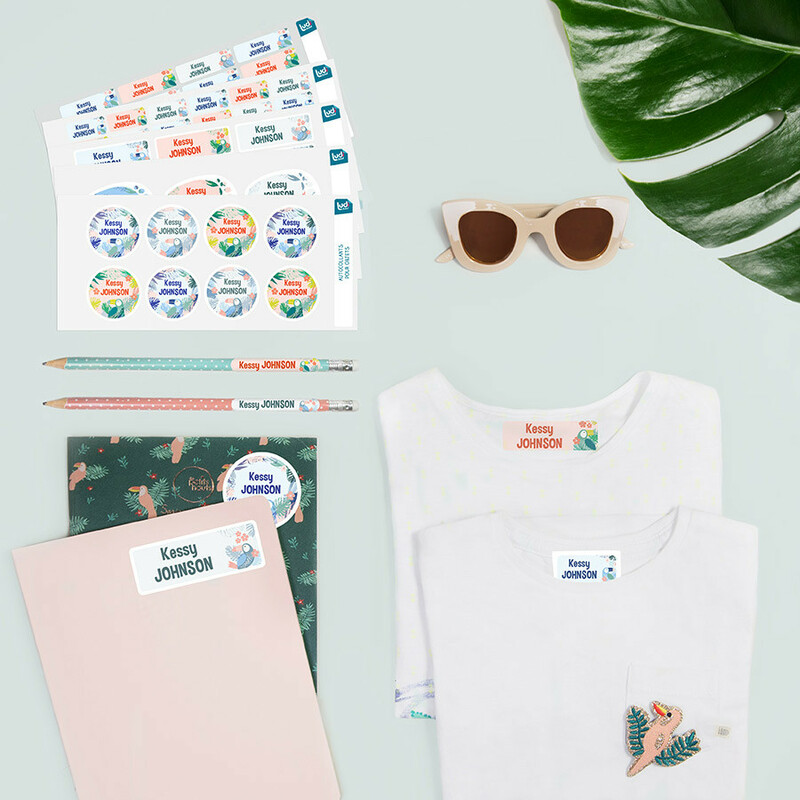 This sticker can be attached to the brand or fabric composition label in 2 seconds in both children’s and adults’ clothes. Press and Stick ! Ready for a safe laundry ! Ludisticks™ are plasticised to offer greater quality and an exceptionally long life. 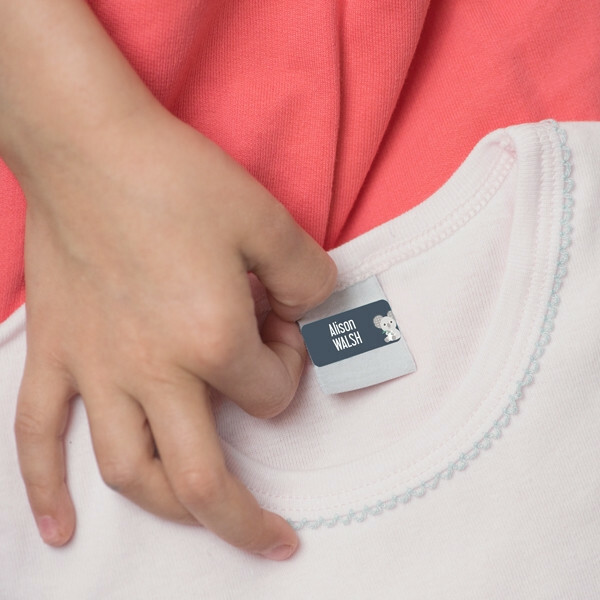 Using these adhesive name tags, all the clothes of children and adults will have a chance to find their way home when lost and you will comply to schools and summer camp request. You will easily tag and identify with first name, middle name, last name all the following : clothing, jacket, glove, towels, hats, sportswear... just save time and money with Ludisticks™ ! The more you get the less you pay ! 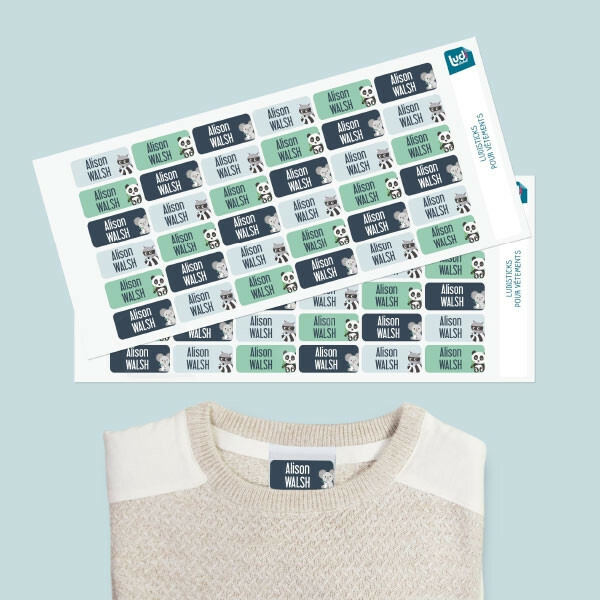 Our name labels are highly-resistant to the microwave, fridge, freezer, dishwasher, etc...Ludisticks™ for clothes resist in the washing machine and tumble drier up to 60°C. Long-lasting, easy to apply name tags with 1000's of uses (Waterproof, fade resistant). 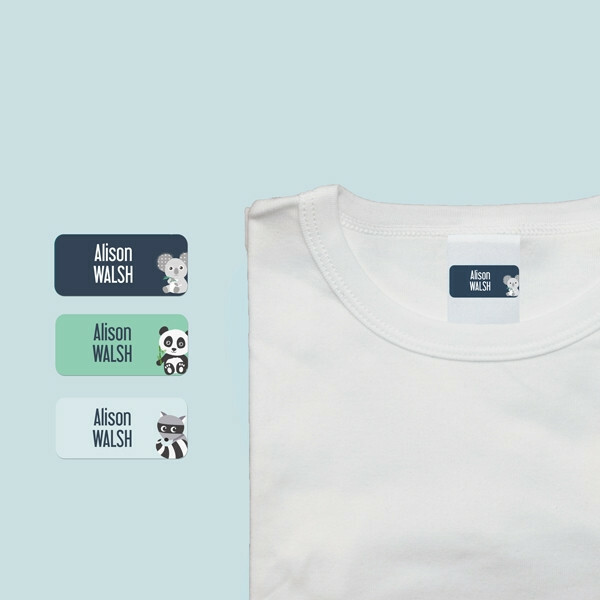 Designed to stick onto clothing tags and nylon shells.